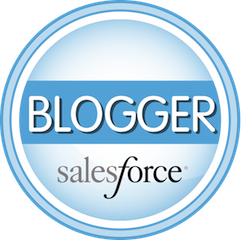 ← Salesforce Classic is Dead – Get Over It! Over the last six months we’ve started using Pardot internally, and that experience has certainly brought us a different perspective on the Pardot implementation process. The wisdom gained during that time, coupled with our prior client implementations has helped us identify five key "lessons learned." Similarly to what we tell clients jumping into Salesforce for the first time, "crawl, walk, run" is also the best approach for Pardot. Put some quick-win marketing assets in place to generate return on investment (ROI) as soon as possible. If you hold back launching Pardot until you’ve solved every marketing automation need at your company, all you’re doing is pushing out your launch date while paying Salesforce month after month. Prioritize what you think will have the biggest impact on your organization and get that in place as soon as possible. Rather than tackle two dozen complex email campaigns, start with two, or focus on creating a new form or landing page. The goal is to get some traction with Pardot quickly and buy yourself some time for all the planning and discussion needed to start layering on additional marketing assets. If you are fortunate, your company is already doing some marketing (just disjointed and manual) and you’re looking for Pardot to bring it all together with some badly needed efficiency and automation. You may have some email campaigns already being sent through a third party ESP (Email Service Provider), or maybe you have some web capture forms in place on your website for webinar registrations or to capture leads. The good news is you can repurpose a lot of the content and creative that’s working for you today. Having an existing library of marketing assets means you can "Pass Go" and get straight into configuring campaigns in Pardot. If not, then you’ll have to decide if you’re going to tackle content and creative internally, or if you’ll work with an agency to help create these new assets. Either way, this is going to delay the launch of Pardot at your organization – potentially by months. This is a lesson we learned first-hand when we created our first set of infographics and eBooks. It took weeks to write the content for the eBooks, which held up the creative agency, and thus our Pardot launch. Well, you can see where this going – you’re paying Salesforce for Pardot but your marketing assets aren’t ready! Lesson 3 – For Pardot to be successful, someone at your organization needs to "own it"
Though Salesforce marketing may make you think otherwise, marketing automation doesn’t run by itself. The technical implementation of Pardot with your Salesforce instance is rather straightforward (connecting Pardot to Salesforce, adding the Pardot fields to page layouts for Leads and Contacts, applying Permission Sets to users, etc.). After that you have to "do" something with Pardot – a rainbow doesn’t just appear leading you to a pot of gold. Like Salesforce, someone at your company needs to be ready to dedicate the time to get familiar with the tool. When working with an implementation partner like ShellBlack.com, once your initial set of marketing assets are in place, the expectation is that you’ll be taking the reins quickly – adding more assets, campaigns, and decisioning logic as you monitor the results of your efforts. Lesson 4 – Let the data be your guide. When launching a new campaign, you should be watching the results on a daily basis to make sure everything is working as planned. Once the data starts flowing, don’t be scared to start fine-tuning your existing campaigns. 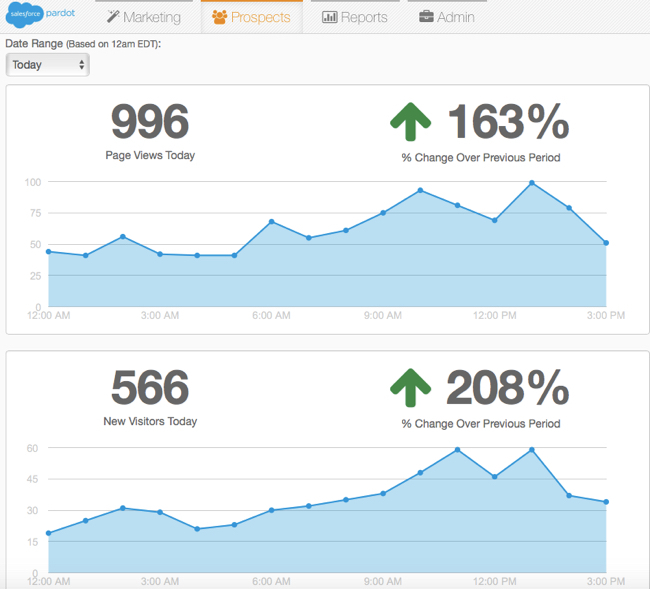 As the data allows, see what you can do to increase open rates, clickthrough rates and form submissions. Run an A/B test to try out different messaging or creative in your email. Adjust the "pause" time in an email nurture campaign to test the timing when emails are sent to see if you get a better response. Try using dependent fields or progressive fields on your forms to ensure higher submission rates. Determine what’s working, and what’s not, and continue to fine-tune your marketing efforts. Remember, your job as a marketer is never done….experiment, evaluate, then tweak, tweak, tweak. An incremental gain at every step of the process can have a huge impact in the aggregate! Data can only get you so far. Anecdotal evidence or commentary from the front line can also be insightful about the impact you’re making to sales. Grab a coffee and take a stroll over to the cubes or into the call center and see if sales have any thoughts on what could be better. Do your salespeople think the lead quality is better or worse by campaign? Is the lead scoring weighted appropriately? Are they being alerted at the appropriate time? Once in the sales process, would they like anything else to be automated (e.g. a "first touch" email sent, or a "nudge" email for an opportunity that’s stalled in the process)? Once sales has landed a customer, how about introducing additional products and services (i.e. a cross-selling campaign)? If your company would like to help implementing Pardot, contact us, or take a look at our Pardot Quickstart package, and be up and running in a matter of weeks!